If you’re anything like me, your holiday shopping isn’t yet finished and you’re still pondering what to get for some of the people on your gift list! So, this week will be a series of gift guides for everyone on your list, starting out with your foodies on the list! 1. A Mandolin Slicer Set. I LOVE my mandolin (all capital letters completely necessary!) from slicing veggies to dehydrate into chips, to perfect salad toppers or tomato slices for your hamburger, a mandolin makes cooking prep both fun and fast! 3. A Fondue Pot. Fondue adds a bit of fun whimsy to any party! This sturdy fondue pot with matching forks is sure to please- great for the foodie that has everything! 5. Hand Carved Serving Spoons from World Vision. These beautiful, olivewood spoons are handcrafted by locals in the Kamba tribe in Kenya. The purchase of the gorgeous spoons benefits the local orphanage. World Vision is a wonderful charity whose sole purpose is to help those in need suffering in poverty and injustice. 1. Gourmet Oils and Syrups. Looking for a great stocking stuffer or fun gift? A gourmet oil or syrup is a fun gift for foodies to spice up their cooking cabinet! I personally would love the Organic Ginger Syrup, Toasted Pumpkin Seed Oil, or Almond Oil. 2. Get the Classic Series Membership at Wine of the Month Club!. Cliché I know, but I know I would love discovering a new wine every month! There are lots of different sets to choose from (especially on Wine of the Month Club’s website!) but I’d have to go with the classic! 3. Nature Box. I am obsessed with NatureBox, lots o fun good-for-you treats shipped to your house monthly? I am so down! I love monthly gifts because it’s like the holidays all year round! 4. Handy Pantry Sprouting Kits. Sprouts are so incredibly good for you and super easy to grow! Give the foodie in your life a kit to start growing their own salads and toppers inside- we all know that home-grown food tastes the best! 5. Mix My Own Granola. There’s something super sweet about creating a mix of food that is perfect for the giftee. 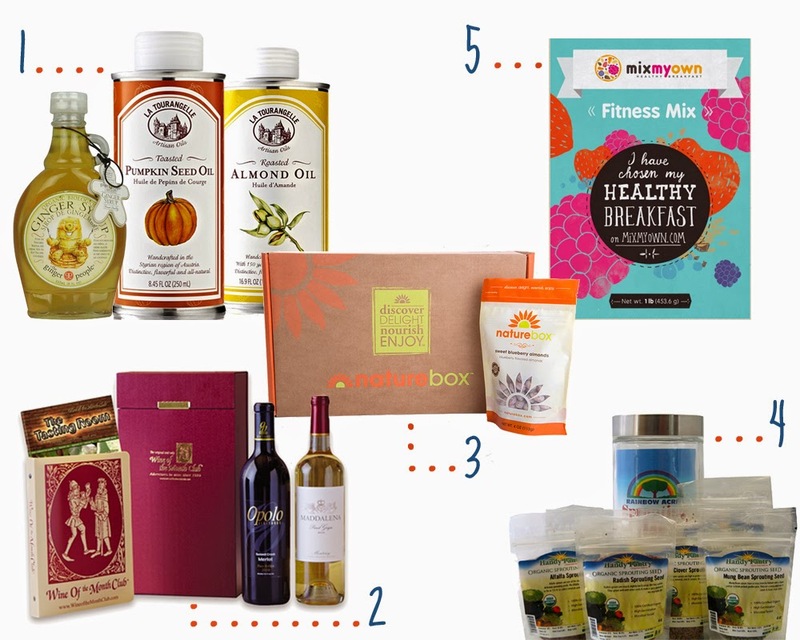 Pop onto the website, choose from almost 100 different ingredients and customize the label for the perfect breakfast gift! 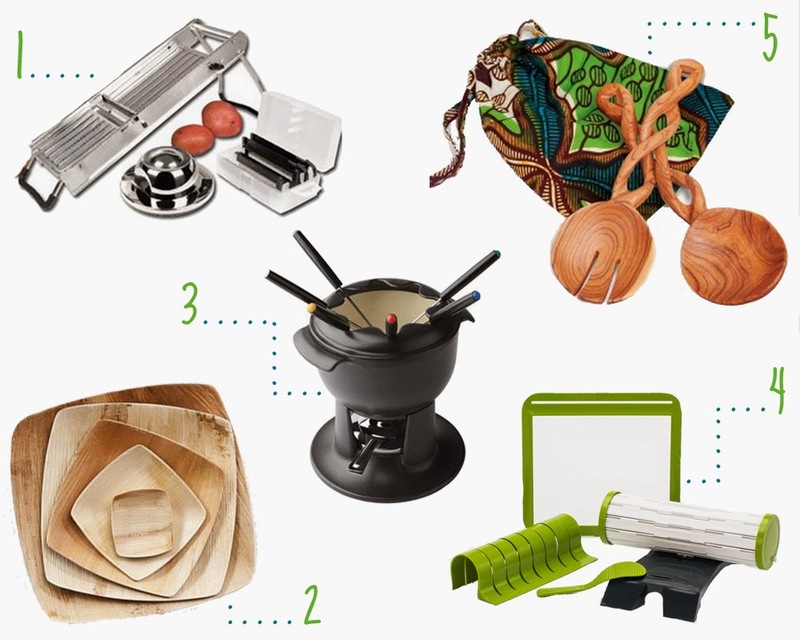 What would you add to this foodie gift guide? I’d love to hear your suggestions below!